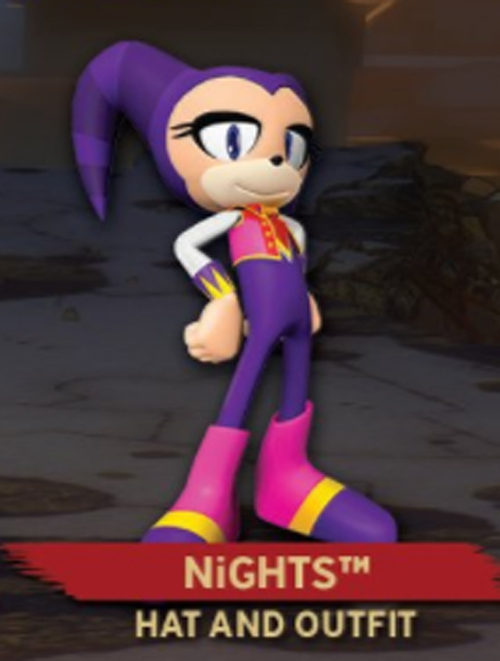 It seems the purple and yellow of the cuffs are the wrong way round, akin to the same problem "NiGHTS into Dreams…" had with the in-game model! 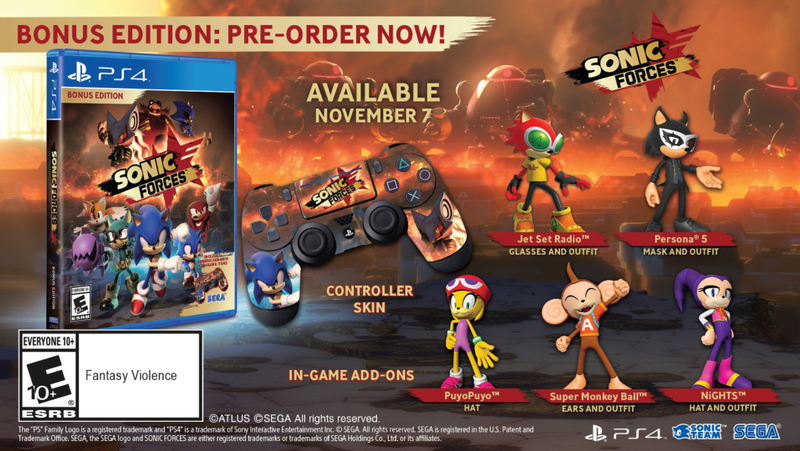 This is hardly an earth shattering issue though, and otherwise this is a fantastic way to show that SEGA still Don't Forget NiGHTS This image was uploaded by the Sonic Twitter, and I think we should all send our thanks their way so they know that this is a very much appreciated NiGHTS reference, cuffs and all! I know what skin i'll be usiiiiing~! AiAi's. This entry was posted on Thursday, August 31st, 2017 at 10:34 pm	and is filed under News. You can follow any responses to this entry through the RSS 2.0 feed. You can skip to the end and leave a response. Pinging is currently not allowed. Time for another petition campaign! Don't Forget NiGHTS………'s cuff design! But seriously. I am SUPER excited for this. I was expecting to spend a good 10 hours, designing my Forces character. But now it looks like it'll only take a few seconds. I wonder if I can wear the NiGHTS costume along with the Persona 5 mask. I think they'd go well together, since NiGHTS wears several persona masks in JoD. I wish someone would contact the guy who made the winter NiGHTS remake or the guy who did the NiGHTS unreal engine demo. Perhaps NiGHTS could get some Sonic Mania treatment.